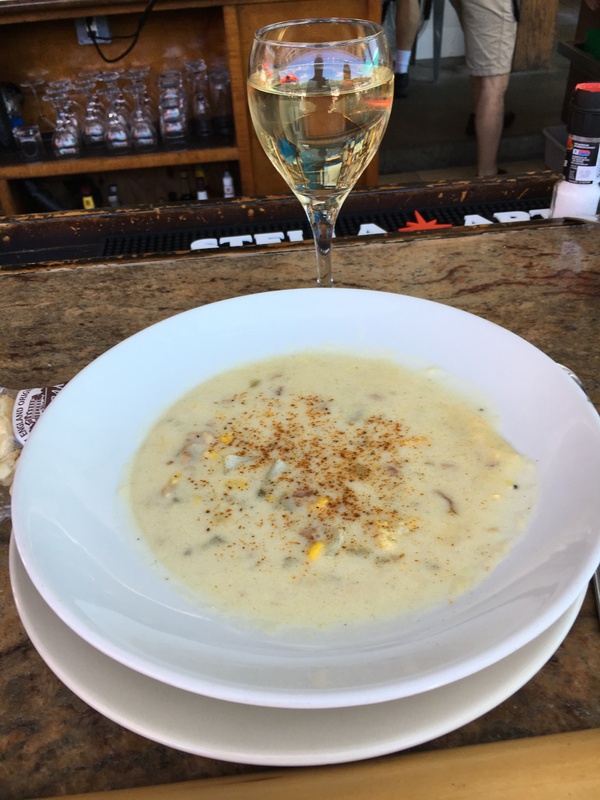 The Harbour Grille – New Kid On the River! This month we did our Road Trip to beautiful Occoquan, Virginia so we decided to visit our friend Troy Clayton and see how his new restaurant was coming along. 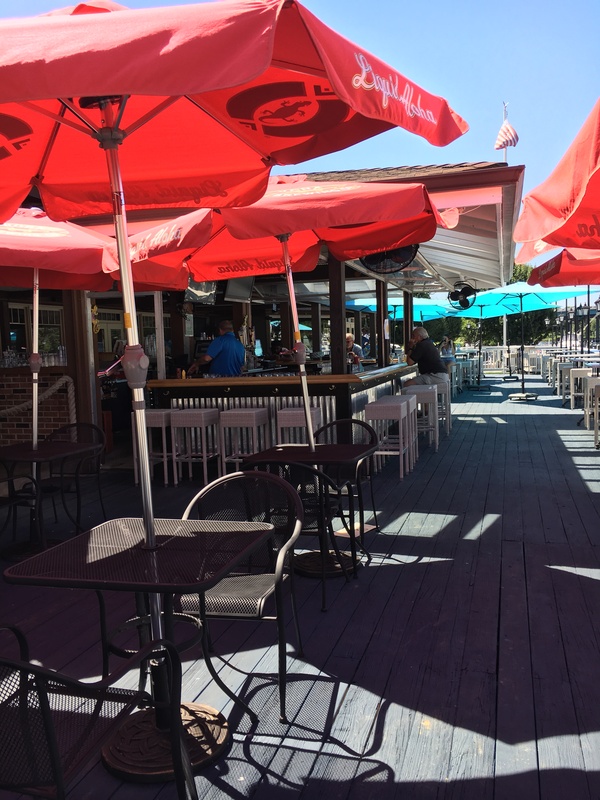 The Harbour Grille is only a short distance from Occoquan on the Occoquan River but to drive there we had to get on Route 123 and back to Route 1 north. It was a relatively short drive. We usually don’t write about a restaurant that has only been open for one month, but since we have known Troy the past 22 years as the owner/chef of Geranio Ristorante here in Old Town, we thought we would give it a shot. To begin with, this place is huge with about 400 seats inside and out. The inside dining area consists of a large square shaped bar with tables taking up the rest of the room. Off to the side is another room that is smaller and a little quieter. Tables that sit along the wall of windows command a great view of the marina and Tiki Bar at the river’s edge. Directly outside there is a very large patio with four tops scattered about and comfortable wicker couches and chairs for a small group gathering. The Tiki Bar sits dead center on the dock and is surrounded by more umbrella tables and two tops. There are a lot of options here and you never feel crowded. Since we enjoy sitting outside when the weather is nice, we chose the Tiki Bar. Rob, our bartender, was a lot of fun and very engaging and can make a good drink as well. That is important to us. Although the interior of the restaurant sports dark woods that give it a more formal appearance, the outdoor part is all about relaxation. There is usually a nice breeze blowing on the river as you take in your libation and the view of the many boats swaying on their dock lines only a few feet away. We are approaching this article from a very casual view rather than a sit-down dinner review. This was our mood as well as our approach. We ordered some Chincoteague oysters on the half shell as well as New England clam and corn chowder and steamed shrimp. We settled into our rum drinks and engaged in conversation with some local customers. Soon we realized that none of our order had appeared, not even the oysters. After about a half hour everything came out together. This is why we typically don’t write about a restaurant that has recently opened. Sometimes it takes a little time to get everything perfect. For those Yelp reviewers who love to complain, this would have been your ticket, however, that is not my take. As I mentioned, we have known Troy Clayton for 22 years and knew what a great restaurant he had with Geranio. I had the chance to talk with Troy a few days later and he explained that his number one guy in the kitchen needed a day off and they just got behind. I can handle that! We were in a good mood and it was a day to relax and enjoy the warm sun. I am sure that by now these kinds of hiccups have been remedied. Even though the delivery was slow, the product was very good. True to Clayton’s standards the clam chowder was perfect. Lots of tender clams with chunky potatoes in a pleasant cream base and the best part – roasted corn. The oysters were of medium size and very good. The steamed shrimp, one of my favorites were of good size and nice and firm. On another trip to the Harbour Grille we once again ordered the oysters, a chicken sandwich and sampled a friend’s crab cake. Once again, this was just casual dining and that is all we were looking for. The oysters were consistent and the chicken sandwich with a slice of grilled pineapple was tender and a pleasant surprise. The flavors worked well together. Our friend noted that the crab cakes were sensational with large lump meat. 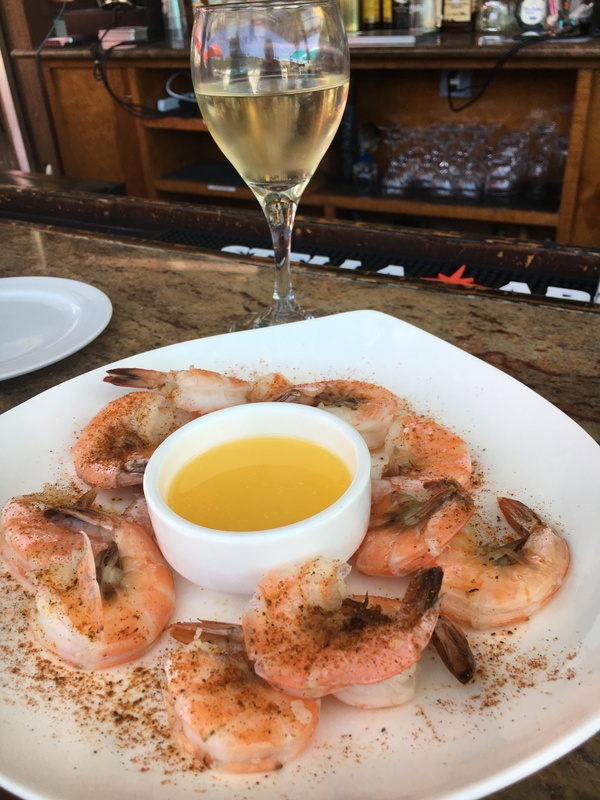 In addition to the Harbour Baskets of fried Tempura flounder, oysters, shrimp, chicken tenders and steamed Snow Crab legs, Clayton has included a few of his favorites from the Geranio days. Linguini with Italian Sausage with Kalamata Olives, 12 0z. Ribeye, Grilled Atlantic Salmon, Seared Tuna, Roasted breast of chicken and those Lump Crab cakes. The lunch menu is pretty much the same with a few variations. They also serve Sunday Brunch. The Harbour Grille also offers live music on Friday and Saturday night as well as entertainment on Sunday. 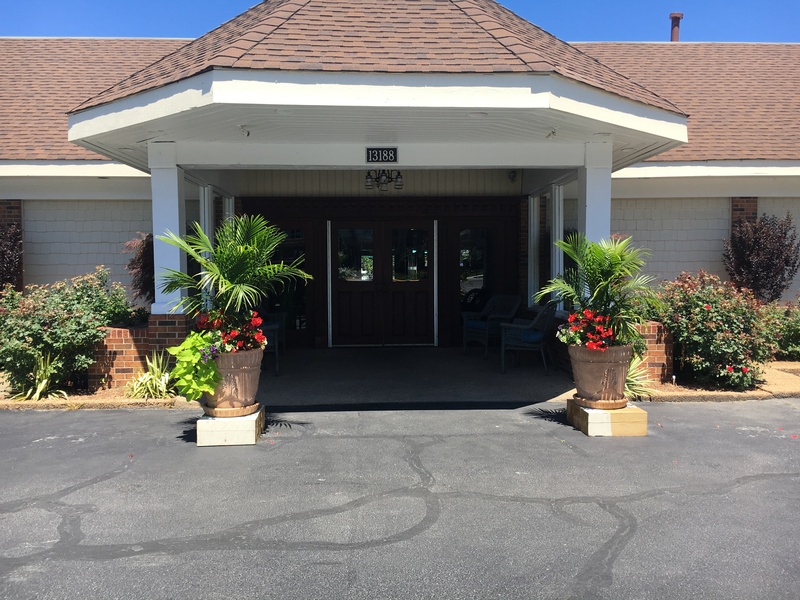 Getting to The Harbour Grille is easy as well…just stay off I-95. Take the GW parkway past Mount Vernon to U.S. Route 1 and head south across the Occoquan River and turn right at the second traffic light…Annapolis Way and follow the signs to the marina.